This a comprehension using the classic story, the Ant and the Grasshopper. It asks various questions about the story; higher order and recalling facts. 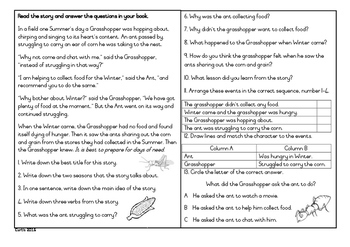 It asks the children to sequence events and requires the children to answer questions in different ways.